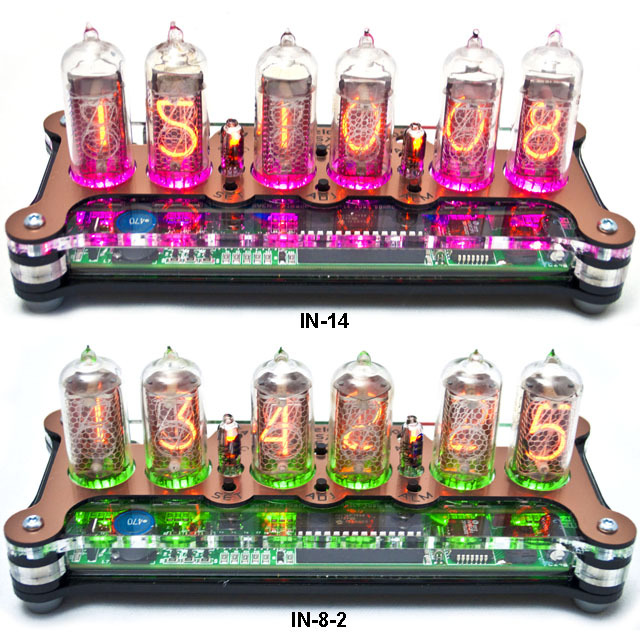 Sven reloaded is a Nixie clock kit based on the beautiful IN-14 or IN-8-2 or Z570M Nixie tubes. Thanks to the 18 mm digit size (Z570M = 15 mm), they are easy to read even from higher distances. During this development, many wishes of customers and the experiences of the previous clock "Sven" were taken into account, for example the dual board design with interchangeable tube board for compatibility between the tube types. However, because of the small size of the clock, it was necessary to design 4-layer PCBs and SMT assembly. These tiny parts are already assembled and soldered. Also the latest converter technology with voltage multiplyer was introduced with maximized efficiency and thus low self-heating. Therefore it was possible to power the clock via USB even with its high Anode voltage. A jack for external time signal receiver and an internal slot for the ASK module are also implemented as a dedicated DST button for fast switching between summer and winter time. Furthermore the high functionality of the clock in addition with alarm function, night mode, shutdown on weekends or weekdays and the selectable RGB tube lighting will convince you. You will get the complete kit with all the necessary electrical and mechanical parts and enclosure (but without tubes), to build this piece of jewelery n a smooth evening. 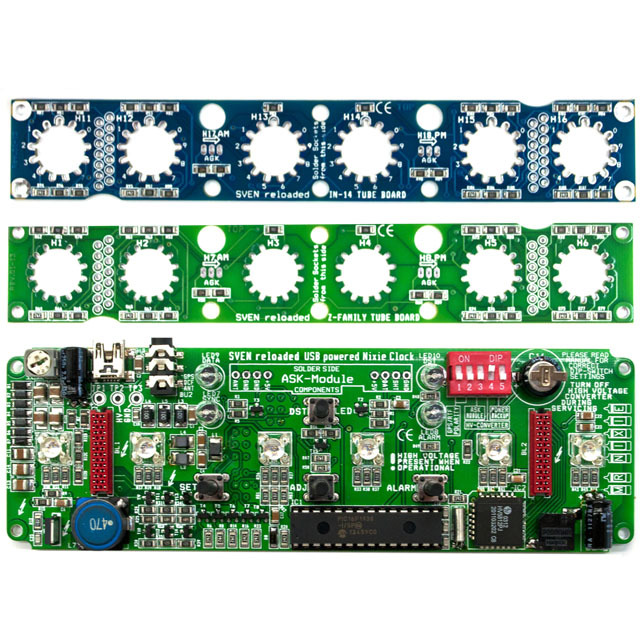 Nixie tubes, USB power supply and time signal receiver are available as options. 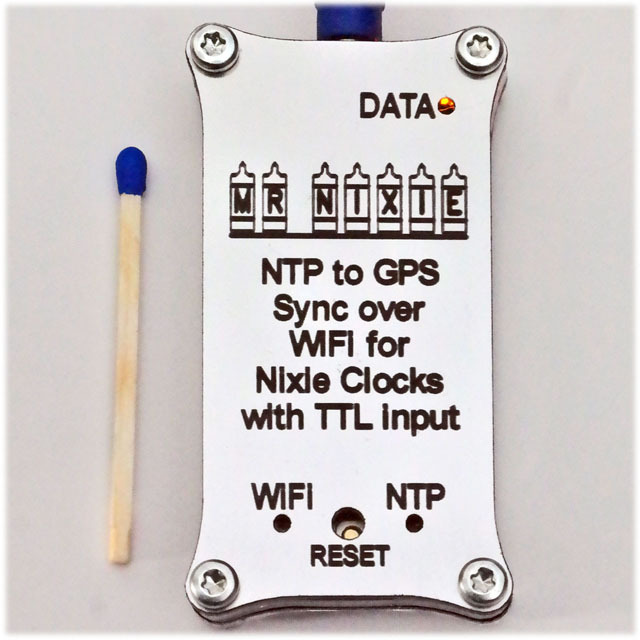 Via Internet and a domestic Wi-Fi the time data will be received from a "timeserver-pool", converted into a pseudo GPS format and interpreted by the clock. From radio station "DCF-77" in Frankfurt/Main, the time signal is continuously transmitted and received within a radius of about 1,000 km. 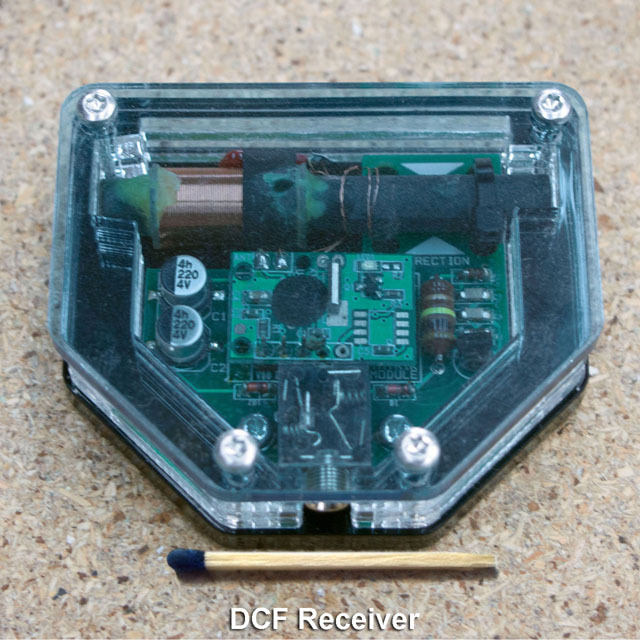 The external DCF receiver forwards the signal to the clock for synchronization. The data sent by the GPS satellite system is received (similar to the car's navigation system) and converted into a 433 MHz signal, then transmitted intermittently and received from an internal fitted ASK module. 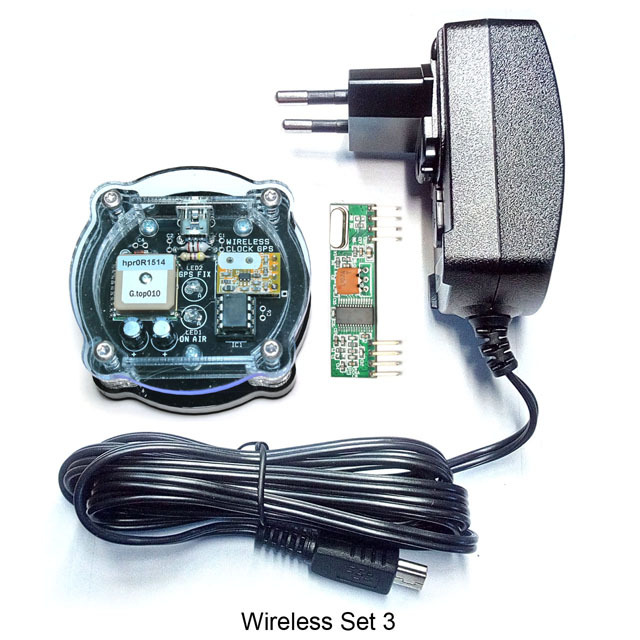 1.: A wireless GPS receiver with USB power supply for placement on a window frame. 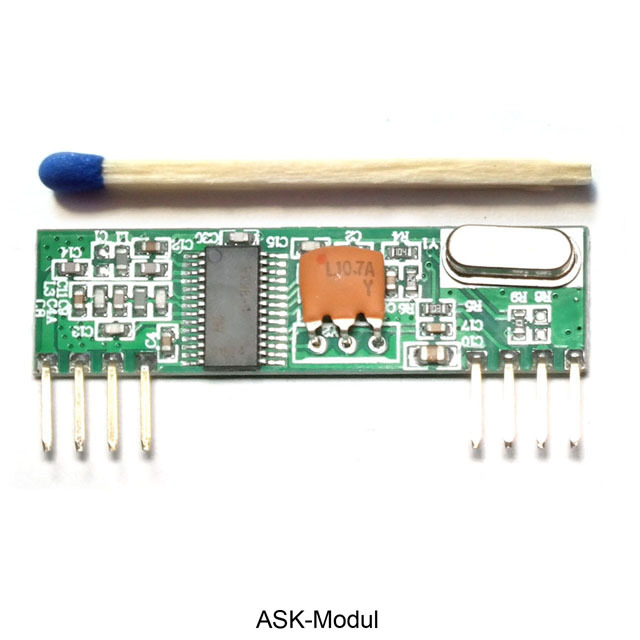 2.: An ASK module for fitting into the clock. If you want to use Wireless GPS synchronization for the first time, we recommend to order a Wireless Set 3 as all necessary components are already included. Later, to expand to every new clock, you only need an internal ASK module. The prices of the EU versions includes the German 19% VAT. Higher handling costs for export are already included in the item price exept of import duties, taxes etc. These charges are the buyer's responsibility.